The preceding if clause checks a conditional expression and returns one expression or another, depending on the value of the conditional expression. An if block in Java does not evaluate to a value. The code as illustrated here is illegal in Java, in contrast to Scala, because the if clause in Java is a statement, not an expression. In Java, there is a difference between if and ? :—if is a statement while ? : is an expression. The if clause in Scala is much more like ? : in Java than the if clause in Java. Scala has unified the concept of ? : with its if blocks and so Scala has no ? : syntax. In mathematics, functions are nothing short of pure, in that they lack side effects. Consider the classic functions in(x):y = sin(x). Regardless of how many times sin(x) gets called, sin(x) does not modify the state. Such a function is called a pure function and is oblivious to the context. This obliviousness to the surrounding context is known as referential transparency. Now, anywhere the expression x + y is used throughout the given scope of your program, you can substitute it by z within that scope, without affecting the result of the program. As stated before, functional programming gives you the right foundation to think about concurrency. The three keystones of this foundation are: referential transparency, higher-order function, and immutable value. 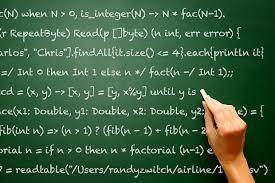 Understanding these key elements is crucial to understanding functional programming. In functional programming, a pure function with one or more input parameters, does not mutate the input parameters and always returns the same value for the same input. A pure function is free of side-effects, however, a function that never cause side effects would be useless. A language that does not sanction side effects would be useless, as input and output is essentially the ramification of side effects. We have introduced sufficient theory for you to begin to explore Scala functions. Now we will get started with a basic functional construct in Scala—the function literal. (x: Int, y: Int) => x + y. A function literal is instantiated into objects called function values. A function value is a function object and you can invoke the function object in the same manner as you invoke any other function. The function object extends one of the FunctionN traits, such as Function0, Function1, and so on up to Function22.Depending on the number of arguments in the function, the correspondingFunctionN trait is chosen by the compiler. For a function with two arguments, the compiler elects Function2 as the underlying type. For a function with 3 arguments compiler chooses Function3 , for a function with 4 arguments, Function4 and so on. The invocation of this function is converted to a call to the apply method of the function class instance, which is assigned to the variable. From these kind of function literals the Scala compiler generates a function object that mixes in one of the FunctionN traits—the left side of the → becomes the parameter list and the right side becomes the implementation of the apply method. Every function that you define in Scala becomes an instance of an implementation that features a certain FunctionN Trait ranging from Function1 up to Function22. When you run this function in REPL you will see that compiler elects and chooses the Function2 Trait for this function. Why? Simply because there are two arguments to this function. This shows only the apply method. The two type parameters T1, T2 in the apply method take the type of the arguments, while type parameter R represents the function’s return type. 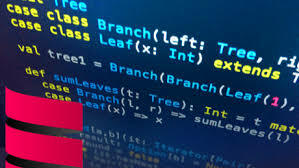 For every function that you define in Scala, the compiler comes up with an instance of the appropriate Function Trait, where the type parameters are parameterized with the given types of the arguments and the return type of the function. Now that you have learned function values and function types, you will see how you can use a function literal to pass it into a method that takes a function, or to assign it to a variable. We will discuss these in detail on part 2 of this article.